The Piedmont Tsunamis improved to 5-1 on Saturday by closing out the regular season of swim competition with a solid road victory against the Lake Ridge Lancers. The 1,017 point win was the largest margin of success for the Tsunamis this year, culminating in a 3,148 v 2,131 final tally that also yielded the second highest cumulative point mark in the league for the week. The Lancers graciously hosted the Tsunami squad in Woodbridge, where both clubs were challenged not only by individual competition, but by the summer heat. Coming off four days of scorching high temperatures, the pounding sun tasked both teams – each event becoming progressively more difficult to exact “personal best” performances from the water. 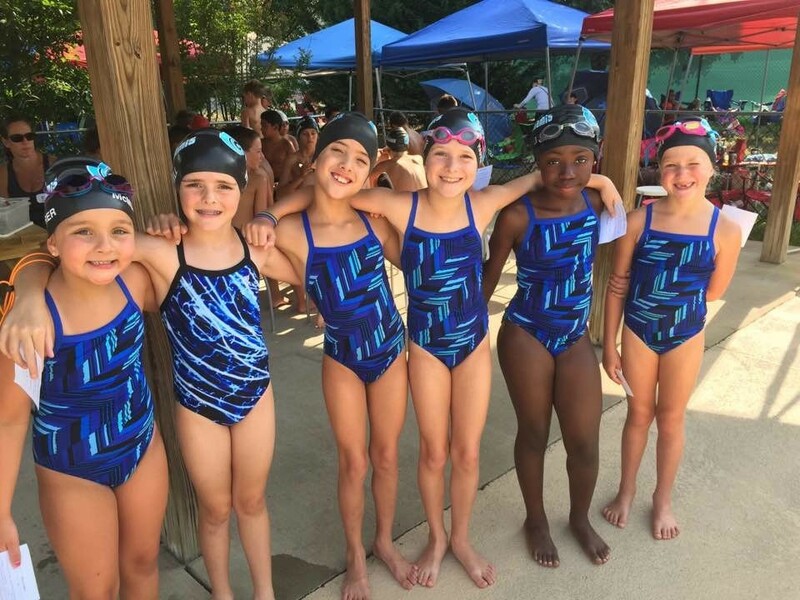 In fact, a majority of the PWSL clubs in the league, including the Piedmont squad, suffered their lowest meet marks this season by way of percentage of times faster than previous attempts. Conditions aside, both the Tsunamis and Lancers put up a stout competition with some extraordinary highlights to note. 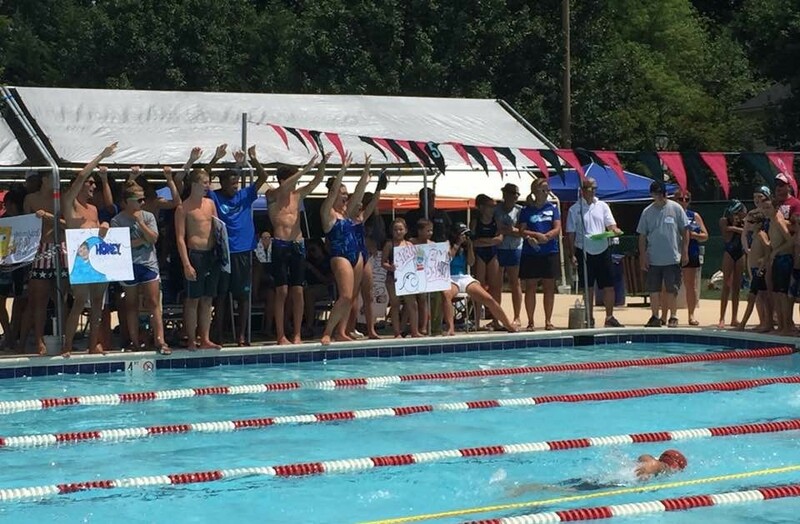 The 15-18 relays and team medley events started strong for the Lancers as they turned three of the seeded races to their advantage off the blocks. But even with these unexpected swings, Piedmont took seven of the first 11 team swims to enter the individual matchups with a marked lead. Many Piedmont swimmers notched some of their first individual blue-ribbon performances for the year on Saturday. All first-place Tsunami swimmers included (with PWSL top overall times also noted by number in parenthesis): Christian Mulroe, Alyssa Sagle, Alex Diatchenko (1), Charlotte Hannam (1), Emma Hannam, Jack Poleto (1), Jessica Lee, Anna Dzouenko, Gabby Maxwell, Camille Spink (3), Katherine Diatchenko, Henry Radzikowski, Mark Edwards, Sedonah Traister, Emmett Hannam, Becca Mayo, Gannon Maxwell, Christopher DeVito, Alex Huang, Alyssa Kendrick, Torii Waisanen, and Gleb Babahov. The Tsunamis closed the meet decisively by sweeping all of the team free relay events to complete the win. Personal bests were at a premium on the morning, and record marks even more so. The sole Tsunami team record to fall for the day belonged to Camille Spink in the Girls 11-12 Individual Medley. Spink, swimming the event for the first time this season, notched a team best 1:12.46 – improving by over two seconds the mark set last year by Katherine Diatchenko in the divisional finals. Most importantly, the Tsunamis finished with their best in-season record as a Blue Division contender – emphatically concluding the year only seven points from an undefeated ledger. A score the Tsunami squad looks to settle as they come in hot to the Blue Divisional Matchups next week at Sudley. 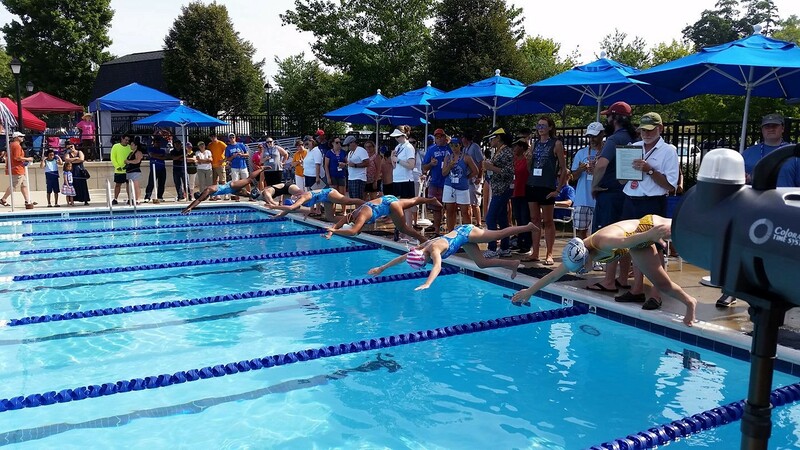 Regardless of the outcome, swimmers, parents and fans should be excited about the July 29th event – where bragging rights for the top flight in PWSL may be measured by mere seconds. 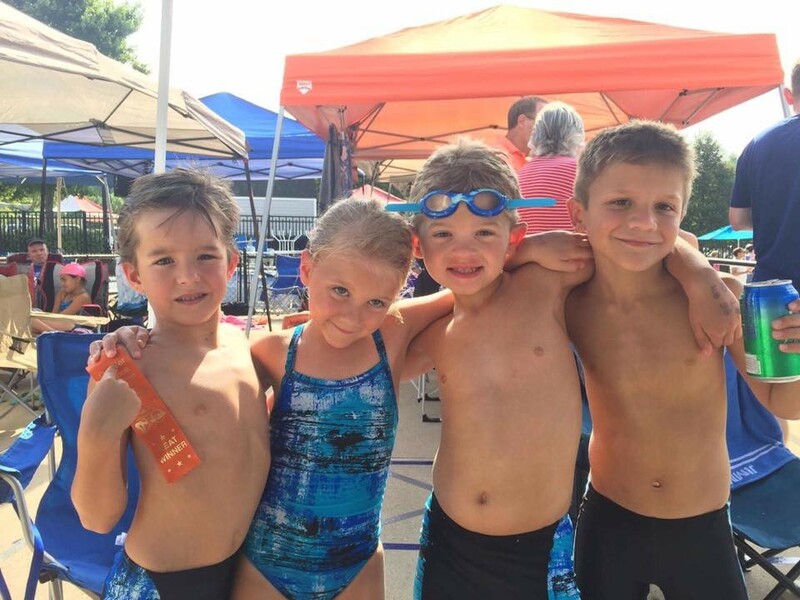 The Bridlewood BWaves hosted Division (and long-time) rivals, the Kingsbrooke Sea Lions for their final regular season meet of the year, hoping to close out the year strong and head into next week’s Divisional Championships with an even record. And indeed, it was the BWaves who roared into the lead, taking all but one of the opening relays and commanding an immediate advantage heading into the individual events. As the meet wore on, things continued to roll for the BWaves as they extended their lead with each event and claimed the top time in another 6 relays to close out the victory. 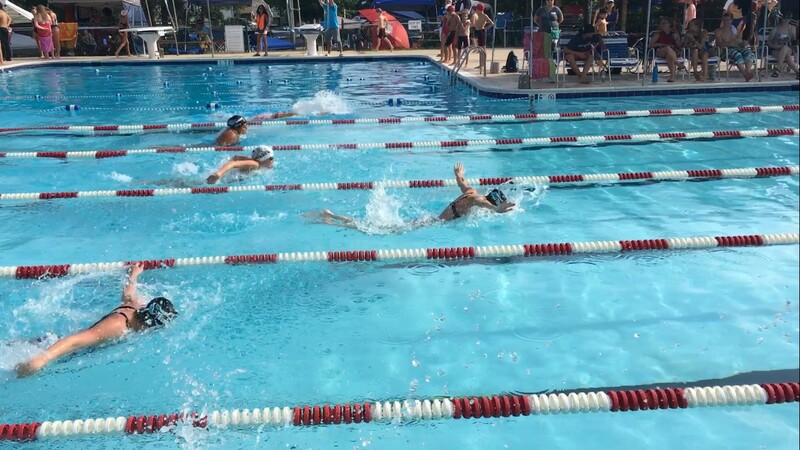 The day was hot and the times were perhaps not where all the swimmers wanted them to be, but in the end, the BWaves finished with a convincing 439-point win, with a final score of 2843 to 2404. The BWaves did see two individual team records fall as Maecy Wells lowered her own record in the 9-10 Girls 100m IM to a new time of 1:22.63 and Ella Cypher clipped three tenths of a second off of a thirteen-year old record in the 9-10 Girls 50m Backstroke, to set a new standard of 38.44 seconds. 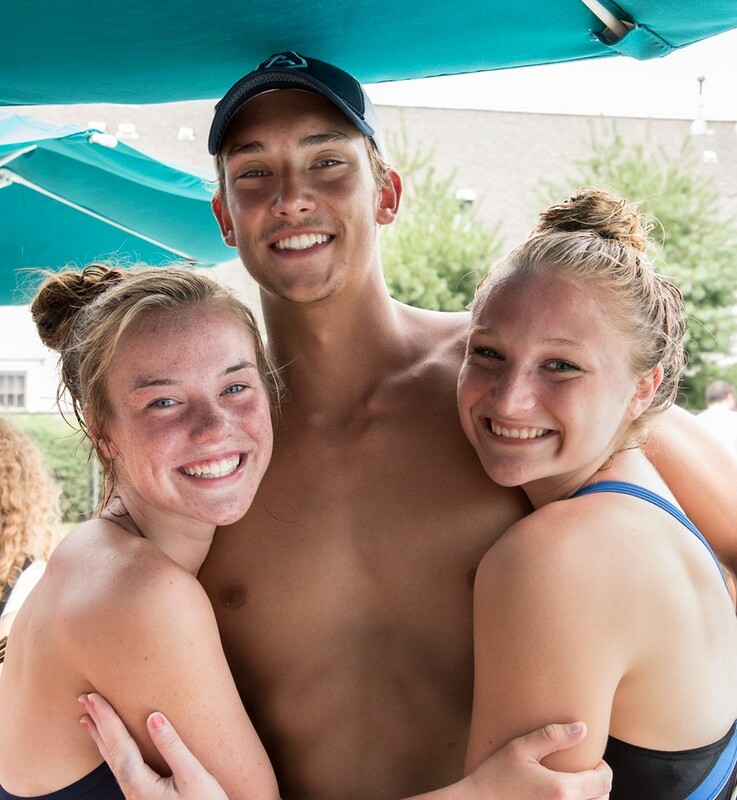 This meet also served as a farewell of sorts for seniors AJ Ross and Spencer Rowe, as well as celebrating “Last Splashes” for Emily Miller and Lanie Corrado. Ross and Rowe both graduated this year from Patriot High School, where they played a key role in bringing the first HS State Championship to the school, and will be swimming for the University of South Carolina and Auburn University (respectively) in the fall. Miller and Corrado both returned to the team between college semesters to finish their summer swim careers with the BWaves before aging out. The entire BWaves family thanks them each for their contributions to the team and wishes them well in all their future endeavors. 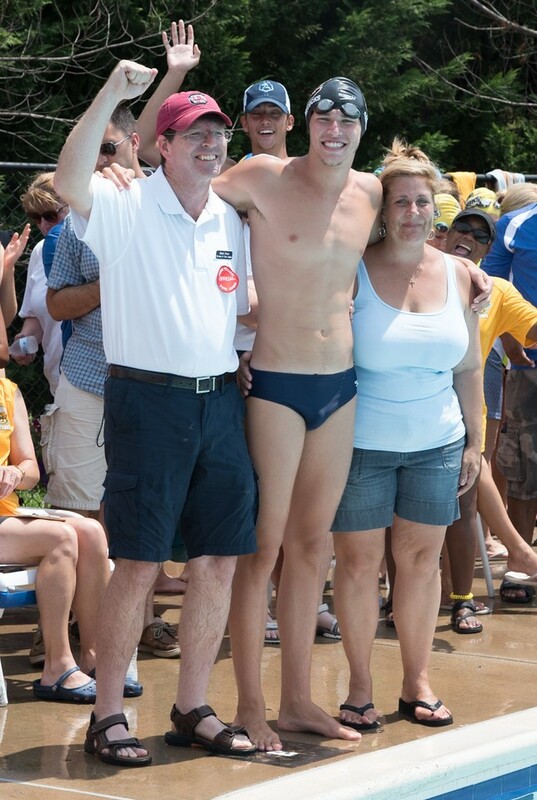 Senior Spencer Rowe with returning Bwaves teammates Emily Miller and Lanie Corrado celebrate their “Last Splashes” BWaves swimmer AJ Ross celebrates his “Last Splash” with his parents at the Kingsbrooke meet. Next week, both Kingsbrooke and Bridlewood send their teams to square off against the Dominion Valley Sharks for the Red Division Title! The Southbridge Seals entered the final week of the Prince William Swim League’s regular season coming off a Week 5 loss that dashed their hopes for an undefeated season. The Seals once again found themselves swimming up a division in Week 6, this time against the Ben Lomond Flying Ducks. Although Southbridge was missing a number of key swimmers, the team rallied together to overcome it and notched the upset over the Flying Ducks 2389 to 2242. This marks the Seals’ second win of the season against a higher division team. Southbridge finishes the PWSL summer season with the second best record in the 24-team league at 5-1 behind only Sudley (6-0) and tied with Piedmont and Wellington. The Seals next face off for the Orange Division championship against the Montclair Seahawks (1-5) and the Stonewall Park Explosion (3-3) July 29 at Southbridge. Seals swimmers set four new team records, three individual and one relay. Owen Howery lowered his existing 100M IM and 50M Breast records while Jordan Mumford did the same with her existing record in the 50M Fly. Meanwhile, the 11-12 Girls’ 100M Free relay team of Kayley Benway, Stella Nolan, Alyssa Giovinazzo and Caila Sullivan established a new record. Overall, the Seals had eight relay teams make “Top 15 Times” and 24 individual “Top 25 Times” for the week in the PWSL. In addition to these performances, eight Southbridge swimmers recorded their first legal time in an event this season enabling them to swim in these events during divisionals. 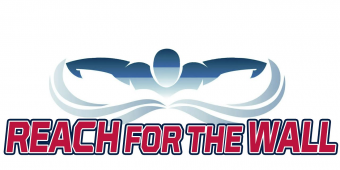 They include Lenikali Bukarau (25M Breast); Christian Carroll (25M Breast); AJ Fucito (100M IM); Annabel Flynn (25M Back); Sarah Kerns (25M Fly / 50M Back); Faith Oryang (100M IM); Mason Parkzes (50M Breast); and Fiorella Vasquez (50M Back).